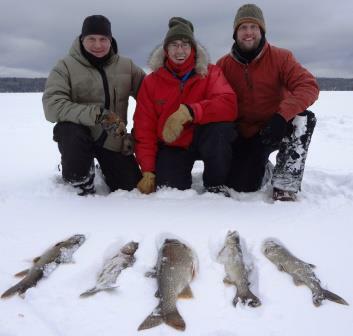 It’s a weekend many people have been waiting for- it’s the Fishing Opener this Saturday, January 16th. That’s the good news. The bad news is the temperature is most likely not going to get up to 0 degrees. It’s going to be a very cold weekend for folks who want to go ice fishing. There are so many lakes to to choose from on the Gunflint Trail but for this weekend I would pick somewhere you can easily get to with a snowmobile. I wouldn’t trust any of the lakes to support a vehicle right now so the option to watch tip-ups from the comfort of a warm vehicle really isn’t an option this weekend. If you’re heading out you better have a shelter and a heater or pick a place out of the wind so you can have a campfire. I’m not planning to go ice fishing this weekend but I wish those of you who do the best of luck. Bundle up and stay warm.